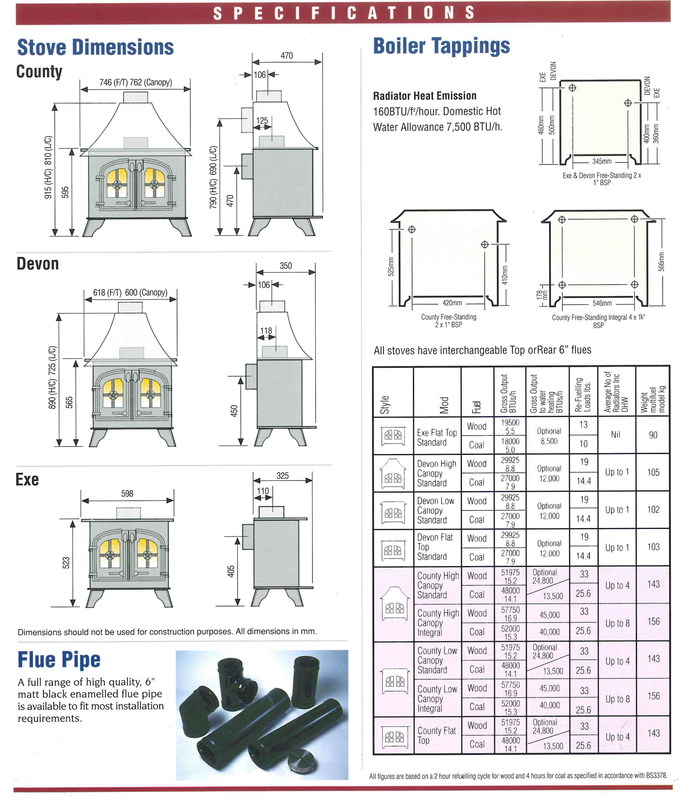 Are you looking for Yeoman Stove Spares and replacement parts? Then you have come to the right place. This is our Yeoman Spares Home Page. Start your search here, for replacement parts for the Yeoman range of solid fuel and woodburning stoves. Including the County, Devon, Exe, Exmoor and CL3 stoves. Simply select your model below and then browse the parts available. Yeoman stoves are renowned for a Tudor Rose in the door, but this is not always the case. Stoves pre 2007 (‘Pre CE’) are harder to ID. If you don’t know which Yeoman stove you have this guide may help. As always, if you need any help with identifying or sourcing Yeoman spares, give us a call/email.